This design has companions – the Zig-Zag Scarf and the Zig-Zag Hat. 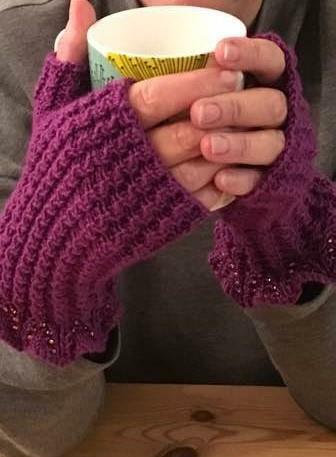 The mitts use DK wool and I knitted them on DPNs. They have a pretty beaded peplum cuff. I rate these as moderate.